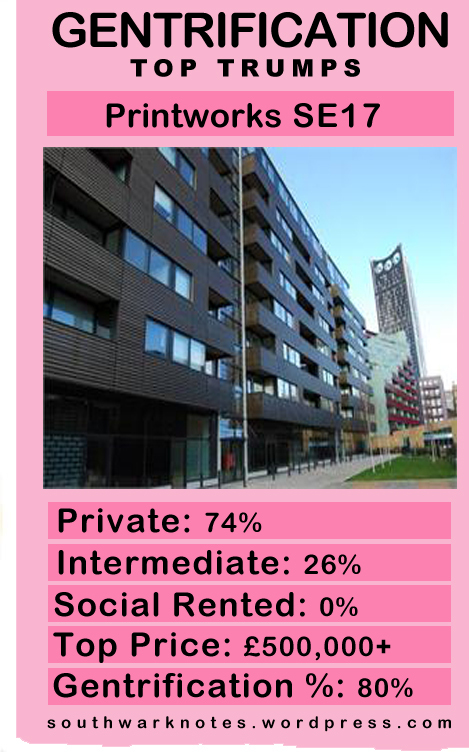 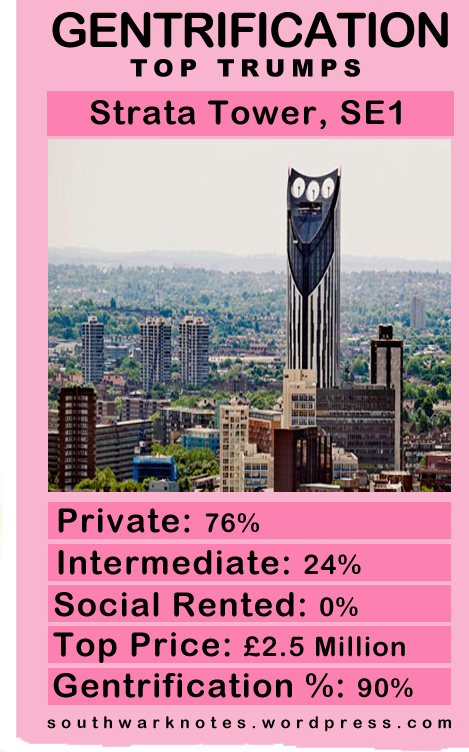 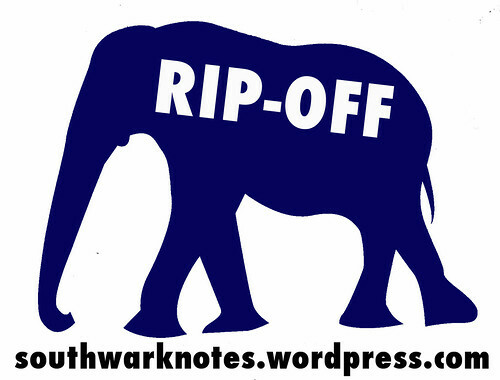 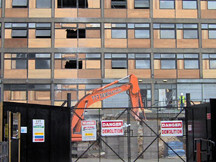 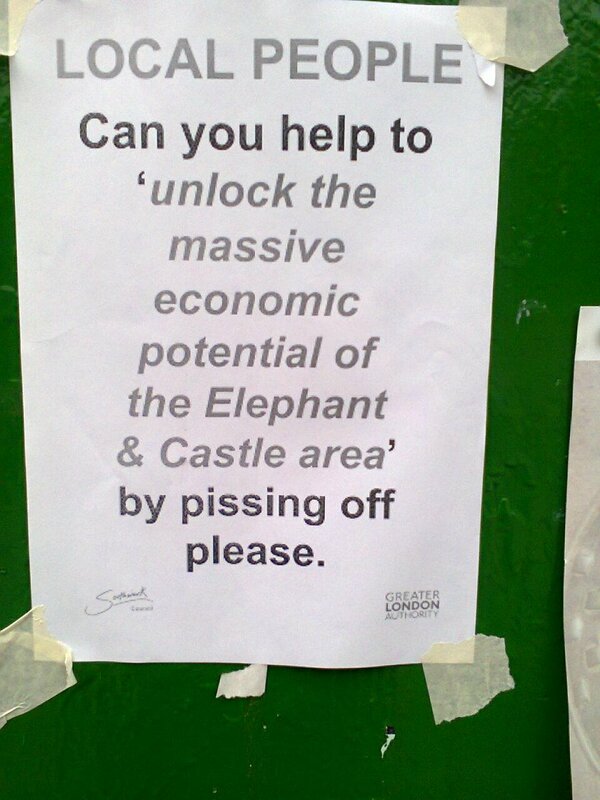 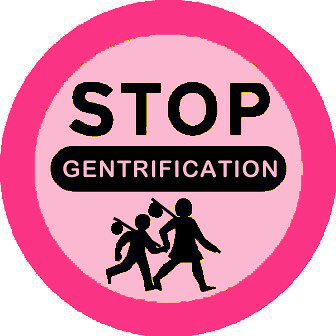 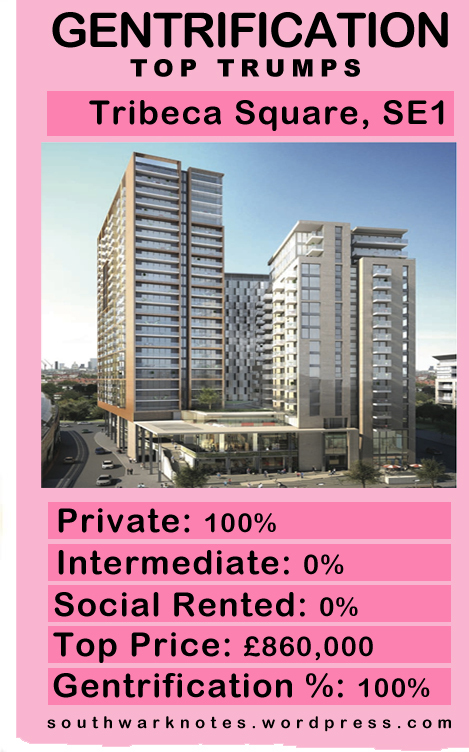 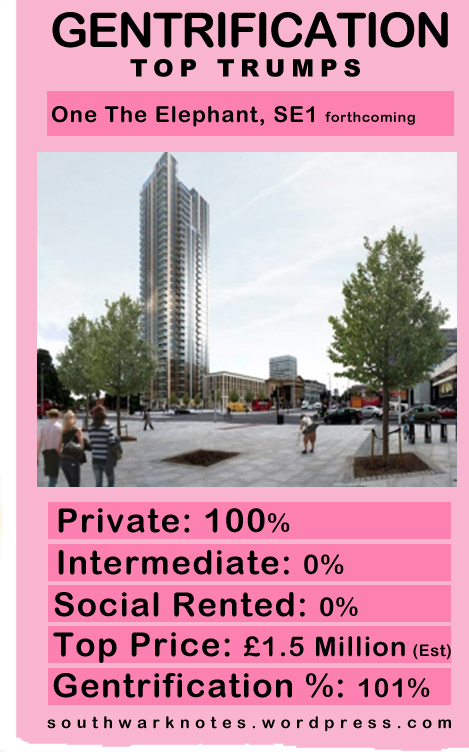 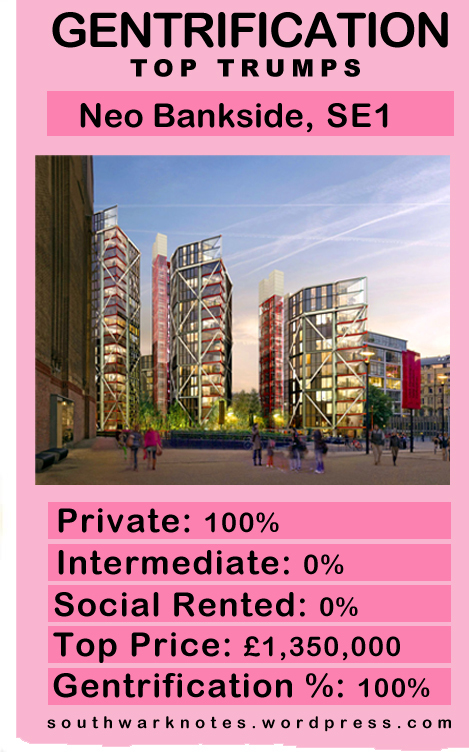 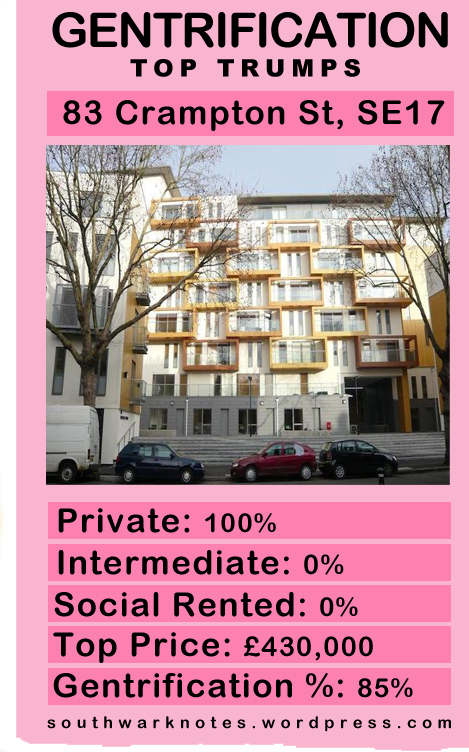 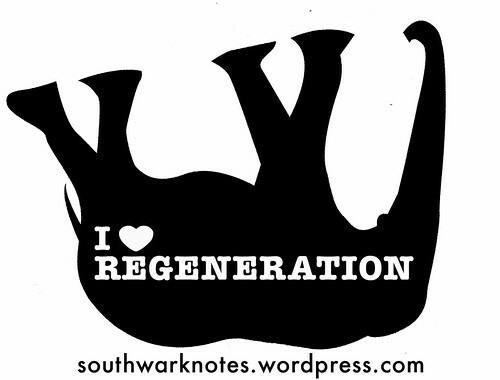 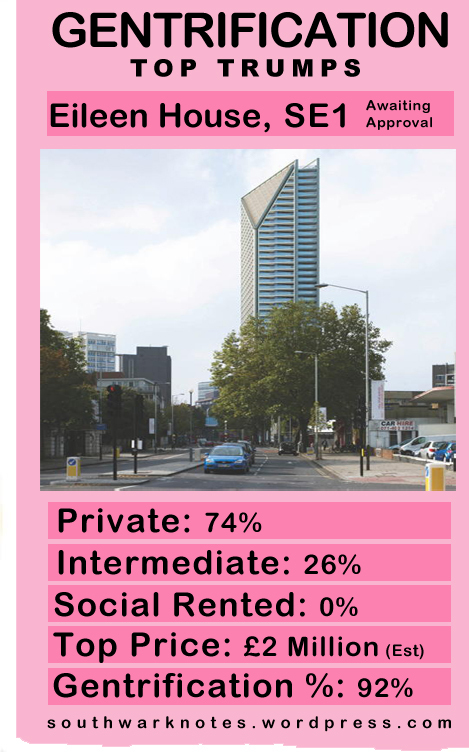 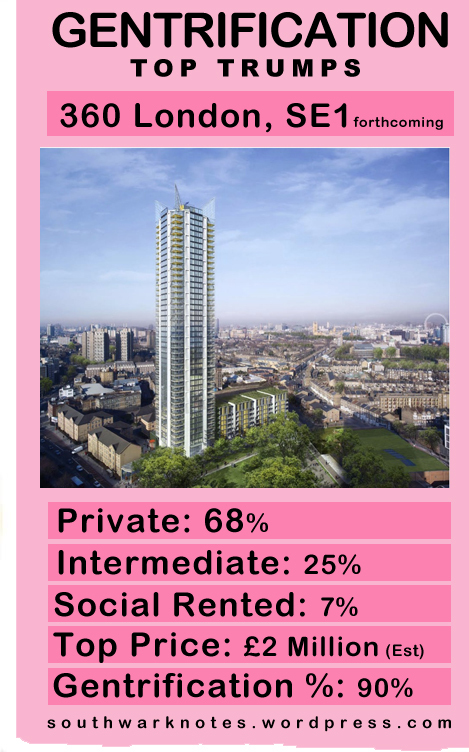 GENTRIFICATION TOP TRUMPS | Southwark Notes - whose regeneration? 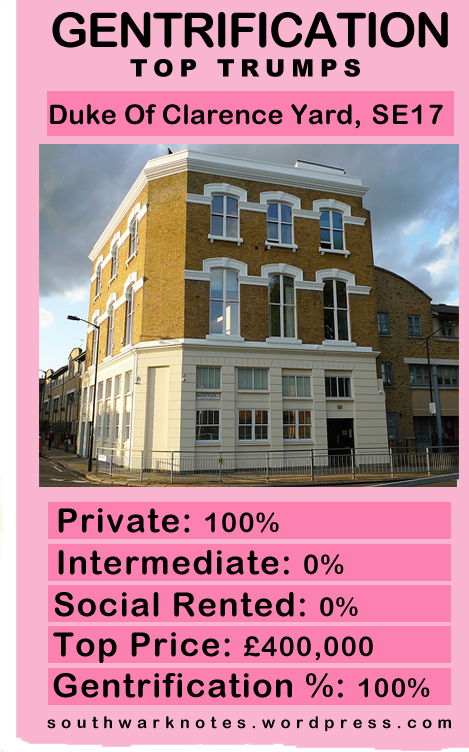 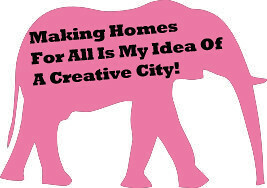 Created a few years ago, already those Top Prices for luxury flats are way lower than prices today. 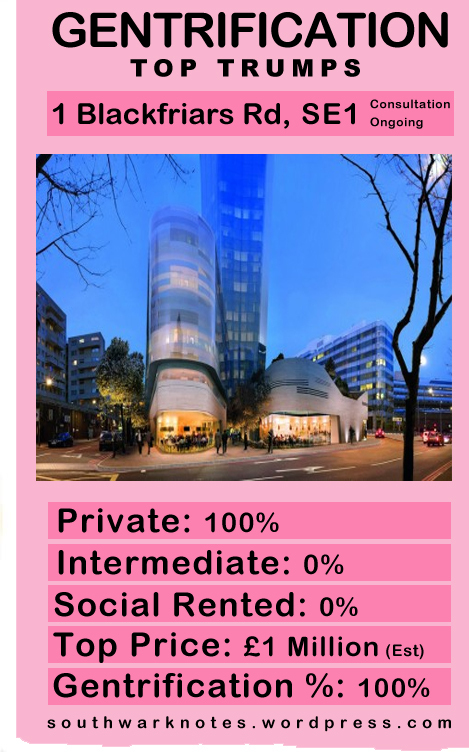 £860,000 for a penthouse at Tribeca Square (Now called Elephant One)! 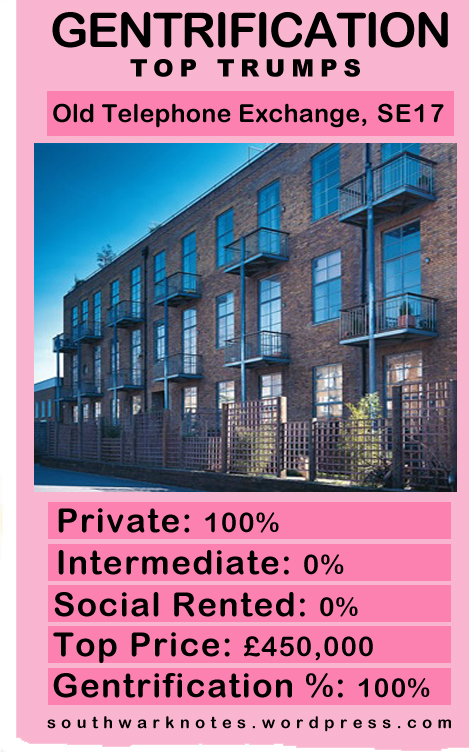 Gonna be more like in the £1m+ range these days.